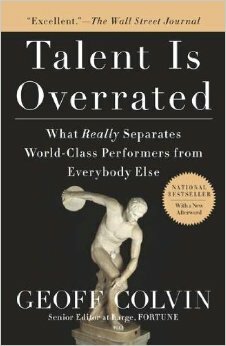 Talent is Overrated: What Really Separates World-Class Performers from Everybody Else is a book by Geoff Colvin. I read it after I was recommended it by a friend. He is a member of my Toastmasters club and is a lovely and funny guy. But several of his talks have irked the sceptic in me. In one unlucky incident, for example, he gave a talk on neuro-linguistic programming, a field that has now been completed debunked. Unfortunately for him, I was his formal evaluator that way, and was quite outspoken in my evaluation speech! In another speech he spoke about Malcolm Gladwell’s 10,000 hour rule, which again is probably nonsense. I challenged him on it and he recommended I read “Talent is Overrated”. So, after that extended backstory, here I am having read it with my usual attempt to keep an open, yet appropriately-sceptical mind. The central theme of the book is that you do not need “talent” to be good at something, you just need lots of time. 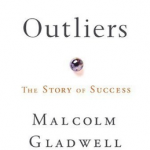 It challenges the idea that there is a correlation between IQ and success. Research does not support these suggestions. However, it does make an important point about the quality of practice. It says it is very important, and it is. One of the biggest criticism’s about Gladwell’s 10,000 hours is that he largely ignores quality of practice whereas Colvin stresses it is the most important thing. The second half of the book turns into a management handbook for motivating your staff. This makes a good point that staff are your most valuable asset. However, some of it felt a little confused. For example it claims you need to have a long-term plan and talks about Panasonic’s 500 year plan. Then it talks about having to reinvent your business model every 3-4 years. How do we reconcile long term plans with the increasingly uncertain future? The book finishes off by going back to the original topic of why are highly successful people so successful. It discusses age-related degrading of talents and suggests that while we do degrade as we get older, if we continue to push our skills they tend not to degrade much at all (but the rest of our bodies will). I’m not sure on the research on this, though I might just choose to believe it because it sounds pleasing. Ah the bliss of ignorance. This entry was posted on Sunday, March 15th, 2015 at 11:36 am and is filed under Books. You can follow any responses to this entry through the RSS 2.0 feed. Both comments and pings are currently closed.